What does a day in the life of a planner look like? Join us in our discussion as to what our ideas are for a planner. Join us as we talk through what a workorder workflow may look like. Tonight we dive into the topic of deciding what skill sets are necessary to be an effective maintenance planner. 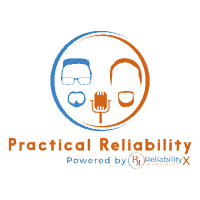 Bringing value to you through training and education, taking an in depth look at all things Reliability.